Jaguar is a roller coaster in Fiesta Village at Knott's Berry Farm. Readers say... skip it. The minimum height to ride is 48 inches. 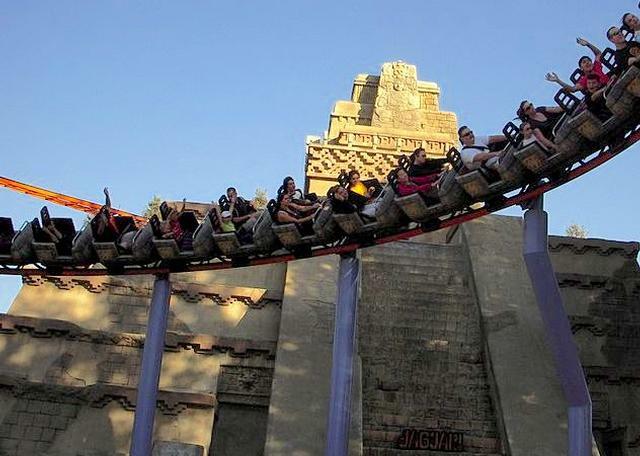 Opened in June 1995, this Family Coaster reaches a top speed of 35 mph, or 56 km/h and finds itself traveling through the loop of Montezooma's Revenge.